Those first 15 to 20 kilometers are not so bad, the average grade being modest, almost easy, at some 3.5%. I was even considering to make the originally planned round trip with the Col des Champs and then return via the Allos. After lunch, we headed back to Barcelonnette to go right to the Allos at the same junction where the Cayolle goes left. This pass is similar to the Cayolle, but the average is slightly higher to make it quite a bit more difficult. 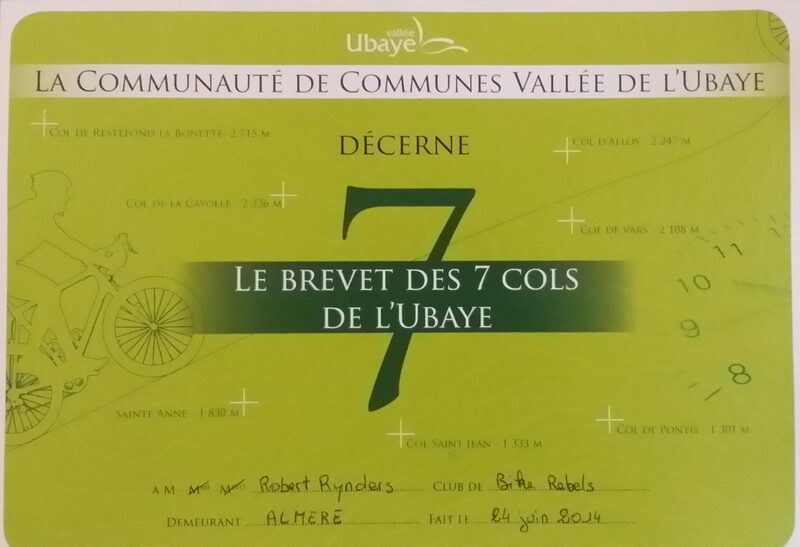 With 20 kilometers, it’s 10 kilometer shorter than the Cayolle, and the summit is 80 meters lower, but that means the average is 5.7%. 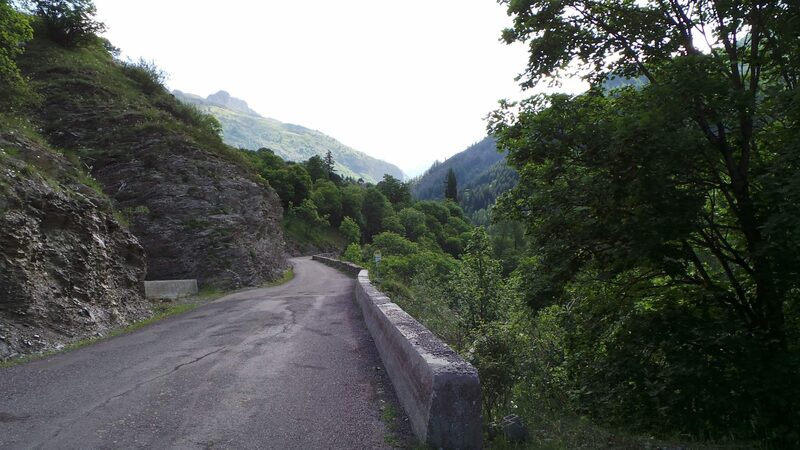 Most of it is between 7 and 8, but there’s a easy stretch of 3 kilometers halfway, before les Agneliers. At the summit there was about as much to do as on the summit of the Cayolle, i.e. nothing, but the descend was a much better treat than the one in the morning. Back in Barcelonnette, having completed all seven cols, we went straight to the tourist office to get the brevet. Trip: 108.3 kilometers / 2.356 meters elevation gain (Garmin Cayolle and Allos).